The slides are manufactured primarily from 6061-T6 aluminum and finished with a black anodizing. Some slides have ground steel beds. Leadscrew backlash is adjustable. Dovetailed tables and saddles have adjustable gibs to eliminate play. Handwheels have a black anodized finish and the markings are laser engraved through the finish into the white aluminum for high visibility. 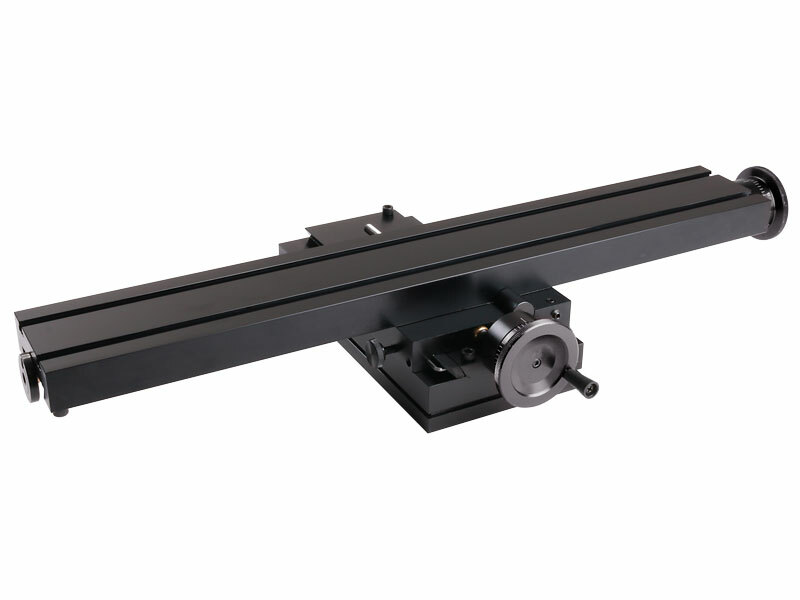 Handwheels are graduated in .001″ increments on inch slides and in .01mm increments on metric slides. Leadscrews are precision rolled from steel, and table screws are located under the table, out of the way of chips. Backlash is adjustable. 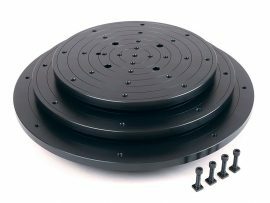 In most slide bases, a groove is machined around the bottom of the base that can be used to attach the slide to a table using hold-down clamps (supplied). 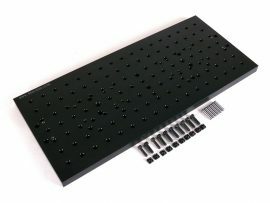 1/4-20 mounting holes are also provided. 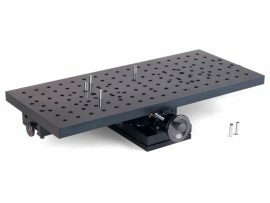 The 6540-18/6541-18 2-axis XY machine slide has an 18″ table with plain handwheels. 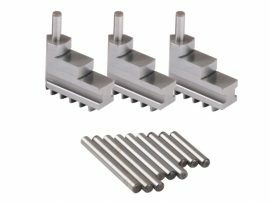 These manual slides can be converted to CNC use at a later date by removing the handwheel and collar and retrofitting a stepper motor mount and stepper motor. These same slides can also be purchased already fitted with stepper motor mounts.